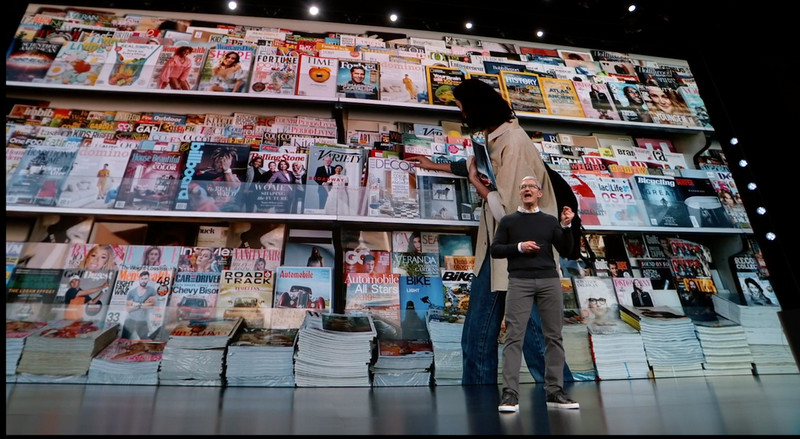 Apple discussed updates coming to Apple News during its keynote today, including the debut of Apple News+ and the addition of over 300 magazines across various topics, such as entertainment, sports, fashion, news, and politics. Humans work to curate what you can find on Apple News+, with an abundance of personalized content no matter what kind of magazines you prefer reading. Cook also noted that the Apple News app has become the #1 daily news app in the world during the presentation.